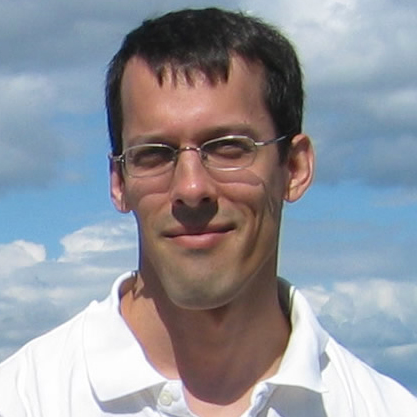 Eric Kolaczyk is a professor in the Department of Mathematics and Statistics at Boston University, where he currently serves as founding director of the department's MS in Statistical Practice (MSSP) program, as well as more generally the director of the Program in Statistics. He also holds affiliated appointments with the Division of Systems Engineering, the Bioinformatics Program, and the Program in Computational Neuroscience. In 2018, he was named a Data Science Faculty Fellow at Boston University. He obtained a BS degree in mathematics from the University of Chicago, and MS and PhD degrees in statistics from Stanford University. Before joining Boston University he was faculty in the Department of Statistics at the University of Chicago. He has been visiting faculty at Harvard University, l'Universite d'Evry, and l'Universite Paris VII, and he teaches an annual short-course at ENSAE / Paris-Saclay. Prof. Kolaczyk's main research interests currently revolve around the statistical analysis of network-indexed data, and include both the development of basic methodology and inter-disciplinary work with collaborators in bioinformatics, chemistry, computer science, geography, neuroscience, and sociology. Besides various research articles on these topics, he has also authored three books in this area, including Statistical Analysis of Network Data: Methods and Models (Springer, 2009) and, joint with Gabor Csardi, Statistical Analysis of Network Data in R (Springer, 2014). Prior to his working in the area of networks, Prof. Kolaczyk spent a decade working on statistical multi-scale modeling. He is currently a member of the Data Science Steering Group, for the Institute of Mathematical Statistics (IMS), and of the management committee for the Astrostatistics Special Interest Group, for the International Statistical Institute (ISI). Additionally, he serves as co-chair of the Data Science Post-secondary Education Roundtable, sponsored by the U.S. National Academies of Sciences. Finally, he has served or continues to serve as associate editor for 8 different journals under various societies, including the ASA (i.e., JASA), IEEE, SIAM, and RSS (i.e., JRSS). He is an elected fellow of the American Statistical Association (ASA), the Institute of Mathematical Statistics (IMS), and the American Association for the Advancement of Science (AAAS), an elected senior member of the Institute for Electrical and Electronics Engineers (IEEE), and an elected member of the International Statistical Institute (ISI).